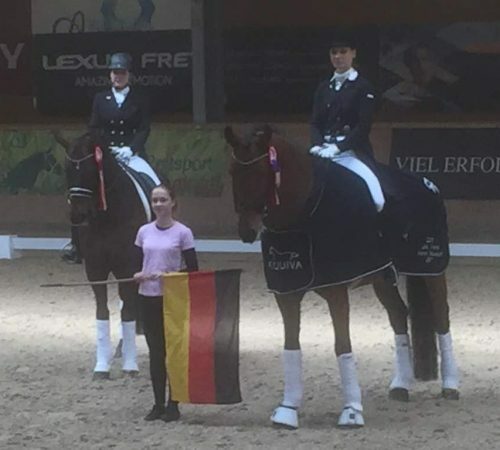 and proved his potential as a real Championship horse! 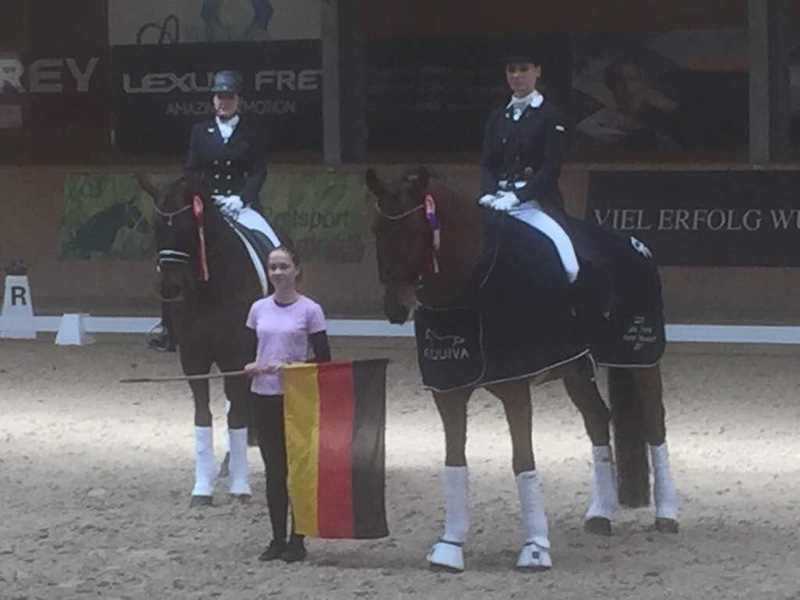 This was a taylored Easter weekend for Ursula Wagner and “Dilenzio OLD”, who moved up to the second place today in the Grand Prix Special at the CDI 3* in Wiener Neustadt/Austria. Already arrived on the showground last thursday, it was not self-evidence for international unexperienced “Dilenzio OLD”, member of “Deutsche Bank Reitsport Akademie” to still show a top performance on the following Monday, but this horse did not only shine again in the arena, even more, it was seen on the first place from 3 members of the judging team. First section successfully reached, keep it up in Mannheim!